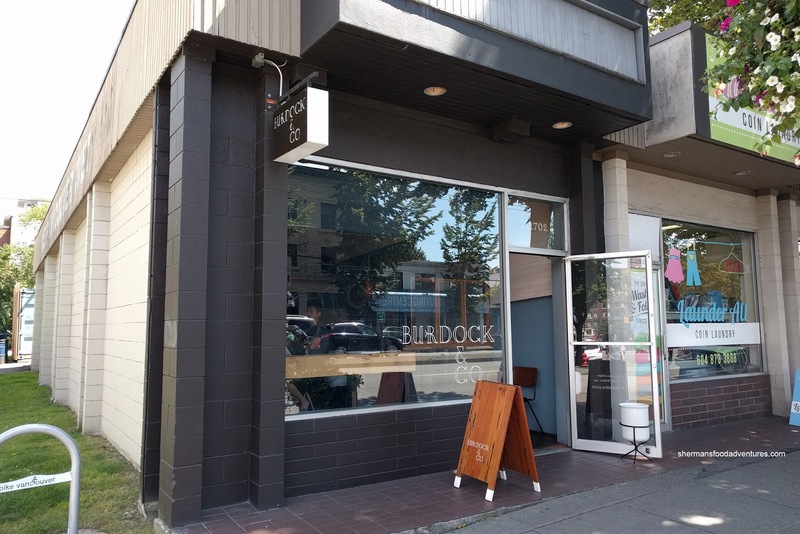 Sherman's Food Adventures: Burdock & Co.
One of the biggest perks of blogging and IGing about food is not what you would think it is. Sure, eating all the yummy food and getting the occasional invite can be a real treat, but the best thing is the awesome people I get to meet who share the same passion. I've made so many friends in the past 8 years and more recently, a considerable number from IG. Sharon and Peter are perfect examples... So what do friends do on a Sunday? We went for brunch at Burdock & Co! The first dish to arrive was the Gluten-Free Eggs Benny on a scone with grilled bacon and lemon Hollandaise. Although the eggs weren't runny per se, at the very least, they weren't cooked through (would've liked them runnier though). As expected, the GF scone was on the firmer side, but it was not a deal-breaker. 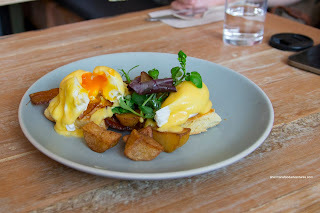 Loved the crispy thick-cut maple and fennel bacon as well as the creamy Hollandaise. I did notice the butteriness, but not much of the lemon. Still a good Benny nonetheless. 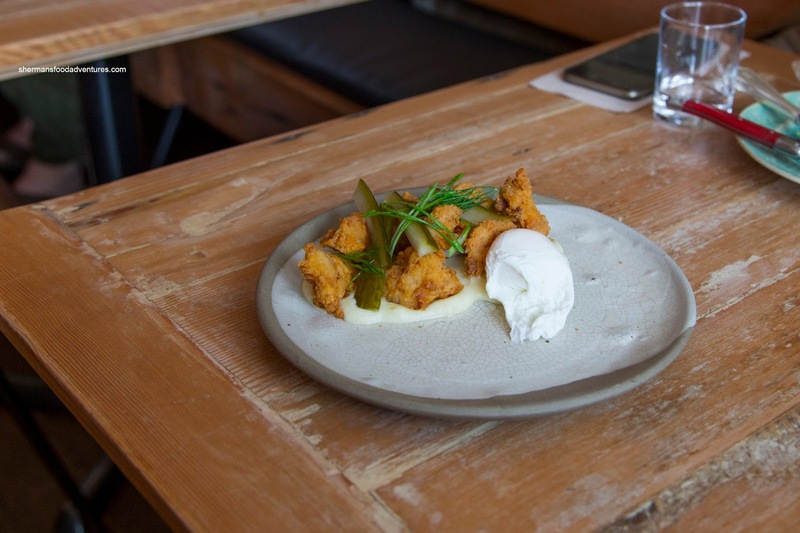 Next up was the Crispy Fried Chicken with buttermilk mash, pickles and poached egg. The nuggets of moist and tender chicken were crunchy and well-seasoned. Underneath, the mash was creamy and smooth while the pickles added a bit of an oomph to the dish. My favourite item was the Pork and Chanterelle Ragout Fettuccini with fennel pollen. 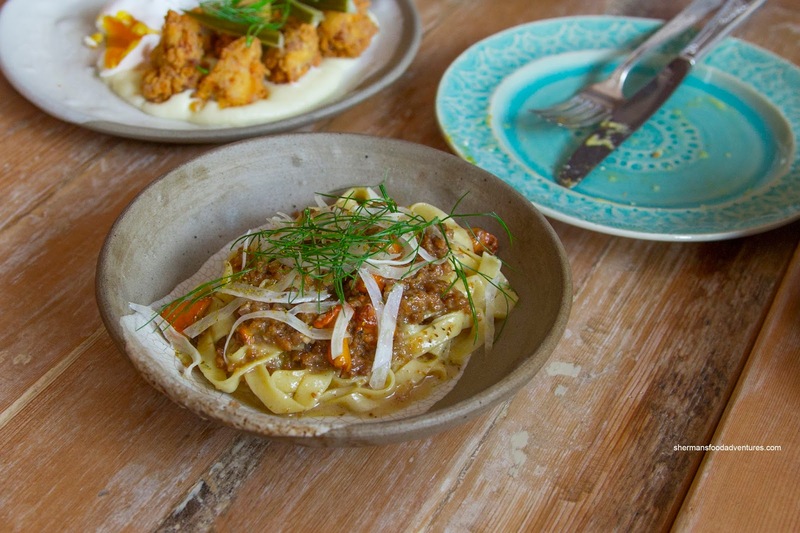 The al dente noodles were tossed in a considerable amount of tender and moist ground pork. I liked the meatiness of the dish as well as the woodiness from the mushrooms. There were good layers of flavour without a heavy reliance on salt either. Our last item was almost like a dessert in the Summer Berry Calfoutis with whipped cream and syrup. This was bubbling hot as it arrived at our table. Hence, it stuck to the plate a bit. I liked how it was soft and sweet with a crispy bottom side. It was rather sweet from the syrup though and it would've probably been better on the side. 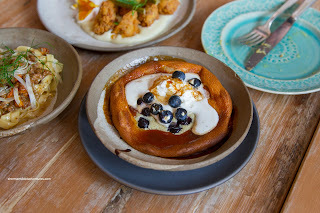 As a whole, we enjoyed the brunch at Burdock & Co, but the portion sizes were rather small. 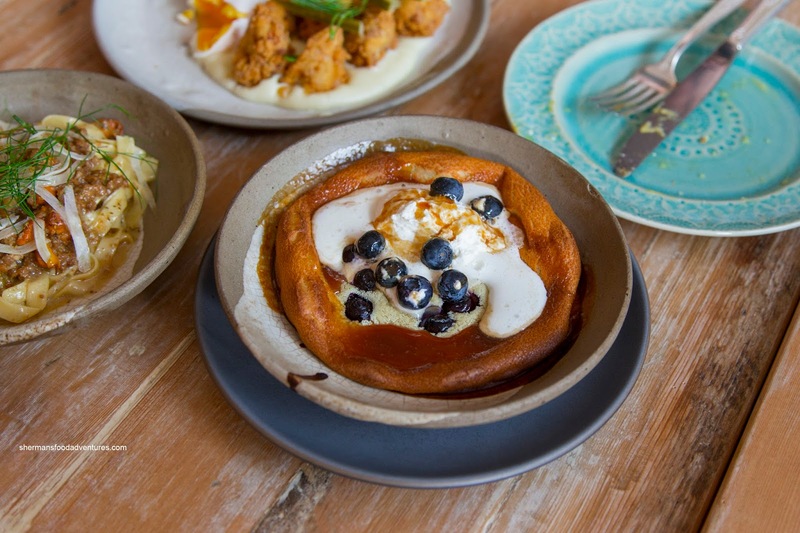 It was more like eating breakfast tapas (but that is their style). @Sharon You are so funny! Thanks for joining me!